We bring the escape room to you, wherever you are. Check out all the places we go. Want to inspire creativity and collaboration in your team? Want to make the office an interesting and exciting place again? Bring your team together without asking them to drive across the city. 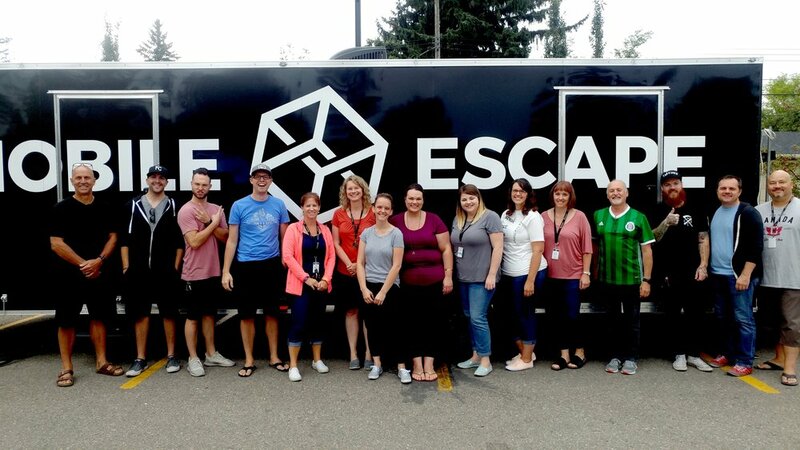 Our mobile escape room is affordable, convenient, and features a post-room debriefing with our staff so you can reflect on your experience together. Find out more about an on-location escape room here. Albert Einstein once said, "If you judge a fish by its ability to climb a tree, it will spend its whole life believing it is stupid." We couldn't agree more, and we know many teachers are trying to change the face of education. We are here to help. With our convenient come-to-you model, we save teachers the hassle and cost of arranging transportation to their field trip. See how we're helping teachers create innovative learning experiences by reading more here. 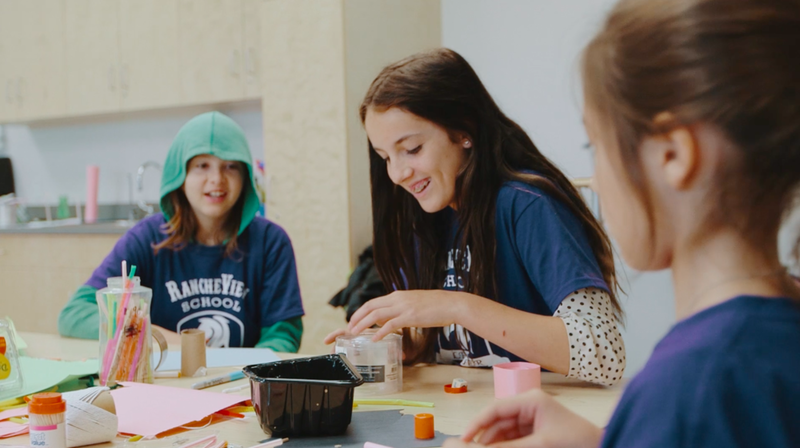 Beyond helping children at school, there are a large number of youth-focused groups, kids camps and clubs that benefit from the alternative learning and entertainment provided by an escape room. 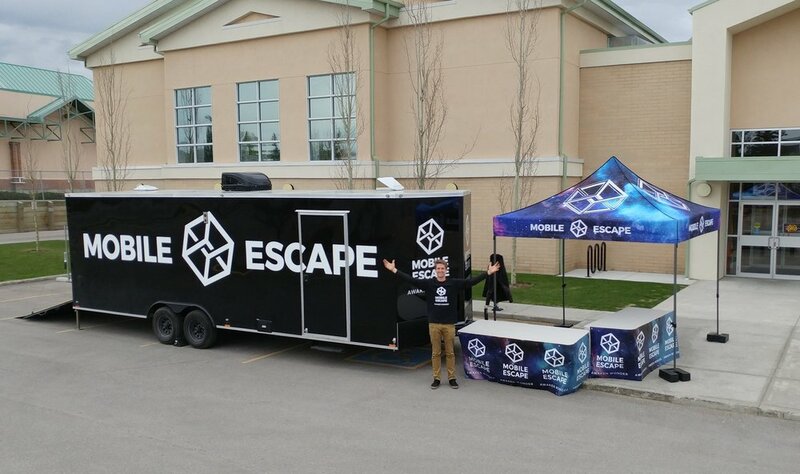 After-school programs and youth groups enjoy a change of pace, while Mobile Escape can save them a costly trip to the closest escape room and bring new excitement to their regular meetings. To find out more about what we can do for your group, click here. Planning an event? Maybe you never knew it was possible to have an escape room at your event? We can make it happen. Events bring people together: fairs, markets, festivals, carnivals, you name it. Events provide entertainment, a diverse offering for a diverse group of people. So why not bring an escape room to your next event? Something new, something memorable. 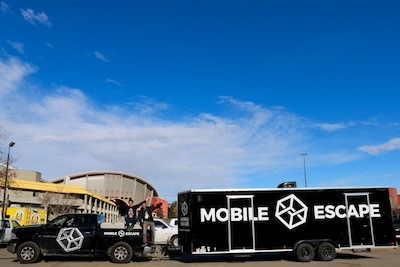 To find out how you can bring a mobile escape room to your event, click here. What better way is there to say, "The bride and groom love games" than by having your very own escape room at your wedding? An on-location escape room is a great way to entertain guests and add your own personality to your big day. Our wedding escape room comes with a photobooth as well: 2-for-1. Find out more about booking our mobile escape room for your wedding here. Having a bunch of people over for your birthday? Want to do something fun without leaving the all the action of the party? We'll bring the escape room to you and make it a celebration they won't forget.